The fighters of the Iron Dome system send a message to residents of southern Israel: We are thinking of you and working to defend you. More than 200 rockets were fired from Gaza into southern Israel between Friday and Monday. An Egyptian-brokered ceasefire has reportedly gone into effect as of Monday night. 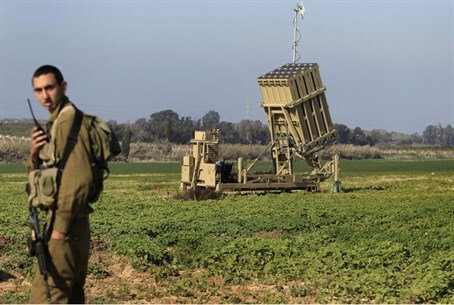 During the bombardment from Gaza, the Iron Dome anti-missile system has proven its usefulness, having intercepted 90 percent of the attacks on urban centers. In the following video, some of the soldiers who operate the Iron Dome batteries are seen sending encouraging words to the residents of southern Israel as they work, day and night, to keep them safe. “We will do anything possible to keep southern citizens safe and our country safe from this attack,” the soldiers add.